Every year the United Kingdom Youth Parliament The Parliament Organisation for MYPs and DMYPs. The UKYP is known for the yearly debate in the Houses of Parliament, in which MYPs attend to debate the top 5 issues, that were voted on in the MYM voting scheme.... More (UKYP United Kingdom Youth Parliament – The Parliament Organisation for MYPs and DMYPs. The UKYP is known for the yearly debate in the Houses of Parliament, in which MYPs attend to debate the top 5 issues, that were voted on in the MYM voting scheme.... More) holds a UK-wide ballot called ‘Make Your Mark’, where all young people, 11 – 18, can vote on what they feel is important in their lives and what they think Members of the Youth Parliament should campaign on for the year ahead. The UK Youth Parliament is managed by the British Youth Council A Youth Lead organisation for young people aged 25 and under to influence and inform the decisions that affect their lives. They support young people to get involved in their communities and democracy locally, nationally and internationally, making a difference as volunteers, campaigners, decision-makers and leaders. 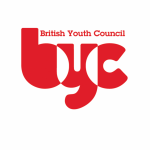 ... More (BYC British Youth Council – A Youth Lead organisation representing 11-18 year olds across Great Britain. ), a youth-led charity which aims to empower young people across the UK to have a say and be heard. This year Oldham Youth Council smashed all Oldham records reaching 17,130 young people, a 71.7% turnout. We have produced a report from the results of ‘Make Your Mark’ from the Oldham borough down to a school level and includes both the regional and national results. Check out the report and see what young people think is important to them.